"Miles was late. The club was packed and people were spilling out onto the street. I felt bad for Max Gordon, the owner: He kept worrying, pacing back and forth, chewing on his cigar. 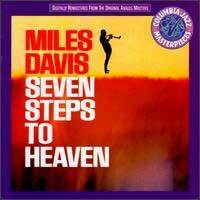 "Then suddenly Miles came in, grabbed his trumpet, and counted off a blues. He played just one note, and went out the back door! "As he went past the bar, I asked him, 'What's the matter, Miles?' He said, 'I've got to make a run....' And he never came back that night. "It was amazing: people sat there, saying to each other, 'He only played one note!'" 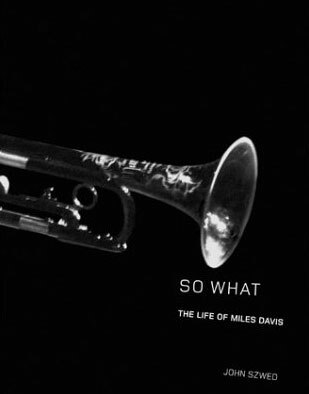 Many such stories decorate the fabric of "So What: The Life of Miles Davis," the recent best-selling biography by Yale anthropology professor John Szwed. The seeming result is a realistic and balanced picture of jazz and society in the middle third of the 20th century  an authoritative look at nothing less than the birth of a new kind of music. The era, according to Szwed, was fresh, fascinating and tinged with darkness as jazz trumped the big bands, only to get aced out by rock 'n' roll. And if one small act can serve as broad metaphor for an amazing period of under-recognized genius, that one-note performance must be it. Brilliance? Arrogance? Happenstance? Drug run? Probably all of the above. Because by the early 1960s, the ever-evolving Davis was not yet 40, had already transformed jazz a handful of times and was clearly no angel. The man with the horn: young, gifted and black. 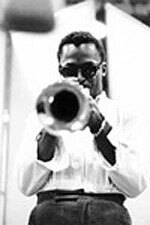 Born in 1926, Miles Dewey Davis III was the middle child of an Illinois dentist dad and a stylish, musical mom. He moved to New York as a teen, spent a year at Julliard, then played kid brother to the original bebop crowd (Monk, Mingus, Gillespie, Blakey and Parker were born between 1917-22). Davis caught up with the big dogs while developing his signature  a muted, melancholy tone that humanized the trumpet far beyond where it had been taken by Louis Armstrong. Meanwhile, that first wave of beboppers was taking jazz from a predictable curio into an intellectual onslaught of notes where everything swung and improvisation reigned supreme  not unlike leaving the county fair and heading straight for New York City. And although the music was often disdained and largely ignored, jazz lore promises that if you slow down the intricate, breakneck solos, they make perfect mathematical and musical sense. Szwed depicts a seemingly endless cycle of jubilation and horror that starred a cool cast of cats  young virtuosos coming of age during wartime, dozens per instrument, crackling with energy and mostly living in the city. They were fluent in this sophisticated new language and often killed themselves with cocaine, heroin and booze. They were also predominantly black and fighting for civil rights. Davis spent his middle years exploring a world of implied notes and empty spaces. He embraced the idea of Broadway showtunes as jazz ballads and pioneered the ways of the recording studio by using elaborate orchestrations, tape splicing and overdubs. His persona was compared to Marlon Brando and James Dean. Kind of Blue: One of man's crowning achievements. He liked cars and clothes, lived beyond his means, was notoriously tough on women, journalists and white people, and more than once became addicted to heroin. And though he fought nasty fits of boredom, his innovations continued through much of his final quarter century. 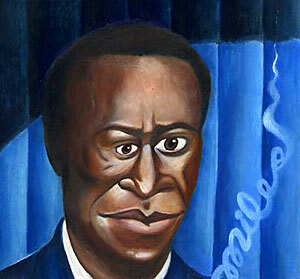 He played on hundreds of albums in all, both as bandleader and sideman. 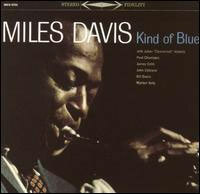 Between scores of others Davis recorded Birth of the Cool in '49, Round About Midnight in '55, Miles Ahead in ' 57, Milestones in '58 and one of mankind's finest achievements, Kind of Blue, in 1959. Sketches of Spain followed in 1960, and it all came before he hooked up with Herbie Hancock, Wayne Shorter, Tony Williams and dozens more in the next wave. Calling it "duende": well worth the struggle. Writes Szwed: "Tony Williams said that Miles hired people who were good, but he encouraged them to be better, to take chances, even to go beyond him if they chose. 'He wants to hear stuff he's not in control of,' Tony said. 'He wants to hear something he wouldn't think of. I mean, when he walks off the stage, he's not just going to go and, you know, read a book or something. He wants to hear the music still going on at a level that he left it at or something better.'" Davis grew to ally himself with younger players and electronic instruments. He paved the way to jazz fusion in the '60s, then, to varying success, matched wits with hiphop, pop and rock in the '70s and '80s. He annoyed critics by playing with his back to the crowd and recorded songs made famous by Cyndi Lauper and Michael Jackson. Foretelling the future: a 1963 release. Davis married several times and seemed to specialize in edgy relationships with interesting women. His unpredictable demeanor and raspy voice could be intimidating, yet he was painfully shy. He remained unafraid of playing wrong notes and managed to show his heart from time to time. A variety of health problems killed him at 65, in 1991  not long after his controversial autobiography was published. And now, more than a decade later, Szwed's book makes an interesting companion. Neither volume is especially flattering to Davis, while both look closely at the music and leave the big-picture questions largely unanswered. Does less-than-saintly living mitigate greatness or taint prolific output? Must egomania accompany genius? Were bebop and heroin a chicken and egg? Does jazz have a future? Was it really worth all the fuss? Szwed takes a stab by relating Davis to the Spanish concept of "duende," the capacity to convey great emotion to an audience: "Duende ... was personified as a demonic spirit capable of troublemaking and bringing with it irrationality, earthiness, a strong sense of death. And yet if you sought it out and struggled with it, it could help to communicate great emotional art." None of which has any bearing on listening to the music. One steamy night several summers back I visited my born-in-the-1920s northern Minnesota folks. In dad's day, he sang and played trombone in small-town swing bands. Music was a lower priority for mom, but she always loved the big-band novelty-song singers. So, not knowing what to expect, I slipped Kind of Blue into the boom box and the timeless sound wafted beyond the patio and out into a neighborhood that had never heard such things. "This sounds nice," said mom between sips of lemonade. "What is it?" "Hmm," was mom's reply, "I don't think I ever heard of him." 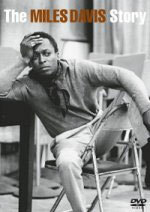 For half a century, Davis played thousands of shows in cities around the world, yet managed to remain mostly marginalized from mainstream society. 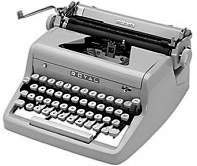 For heaven's sake: Szwed's bio is reportedly the first major writing on Davis since the 1990 autobiography. Writes Szwed: "... he had been expected to improvise every night with a level of intensity that could bring an audience to its feet shouting, and send them home dazzled. "Still, every performance he gave was a test of his ability to resist self-plagiarism, a challenge to add something of significance without relying on his past successes. "It was an impossible task." 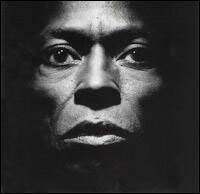 Indeed, Miles Davis was a handful. But he managed to push humanity's voice through the bell of a trumpet, and he left behind all those miraculous recordings. Near the end of the book, Szwed quotes Davis imagining himself sliding into heaven via trial by jury: "I think they'll say, 'Well, he's the only one who can play like that; we better let him in.'" Which makes one hell of a final note.